Facilitator: Bonnie Nish. Preregister by emailing secretary@rclas.com. Seating is limited. Book/pay early to reserve your spot. Cost: RCLAS Members $20, Non-Members $35. Sign up via the Paypal buttons below, or email secretary@rclas.com for other options. Poetry is about finding your voice and how it resonates in this world when you are standing alone or beside, along with other voices. The way into our creativity sometimes is blocked. In this interactive workshop we will explore through a variety of modalities, ways into our authentic voices when we have become blocked. We will listen deeply and learn to open pathways. Then we will come together to create a piece of community art that blends our voices together and opens us to a new way of listening and being in the world. Bonnie Nish is founder and Executive Director of Pandora’s Collective Outreach Society a charitable organization in the literary arts based in Vancouver British Columbia. A published poet Bonnie has been facilitating writing workshops for over twenty years. 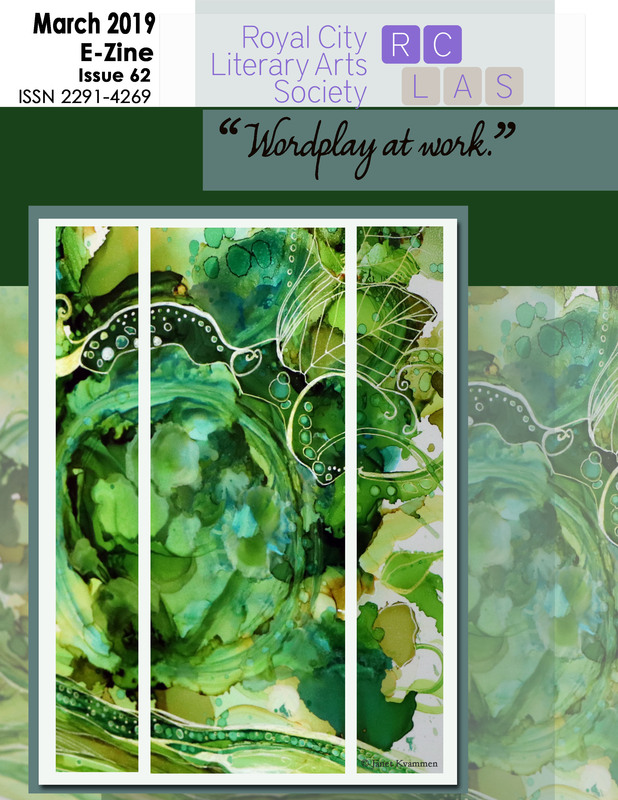 She has a Masters in Arts Education from Simon Fraser University and is currently pursuing a PhD in Expressive Arts Therapy at the European Graduate School. Her book Love and Bones was published by Karma Press in 2013. 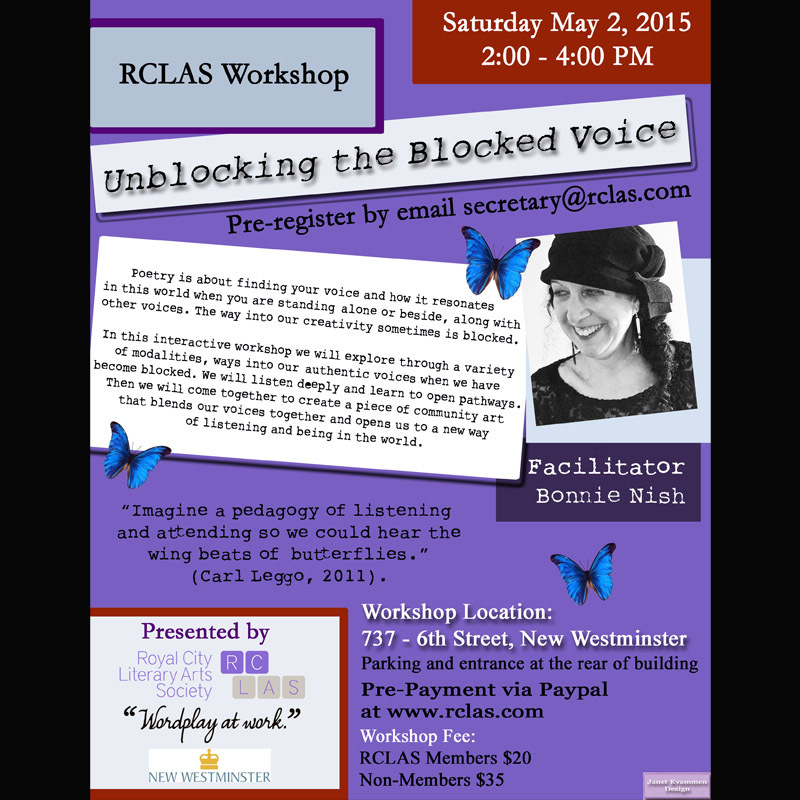 Posted in workshop and tagged Poetry, workshop, Writing on April 29, 2015 by rclasonline.